Because of Disneyland’s 60th Anniversary this summer, there have been many articles online and in print about the park’s growth since July 1955—new attractions, shows, parades, shops, and restaurants. But this is Yesterland. 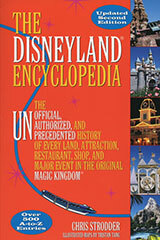 So here’s Part 1 of a list of something that CLOSED each year since Disneyland opened. I picked just one for each year. Some years, there were quite a few others. Other years, it was hard to find even one. Thank you to Chris Strodder for his help. 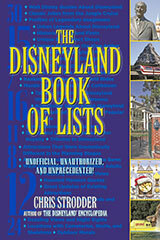 Although this list is not from his newest book, The Disneyland Book of Lists, that book and The Disneyland Encyclopedia were valuable reference sources while preparing this article. Canal Boats of the World in Fantasyland only lasted from July 17 to September 15, 1955. 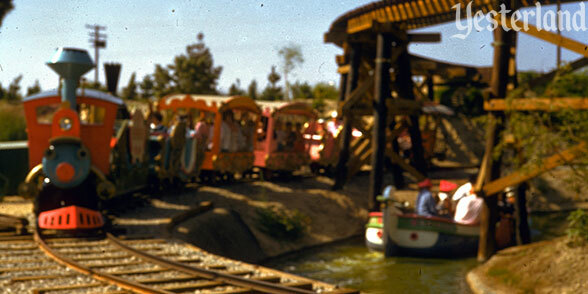 It was substantially enhanced to become Storybook Land Canal Boats, which opened June 16, 1956. So the boats are simultaneously one of the shortest-lived and longest-lived attractions of Disneyland. 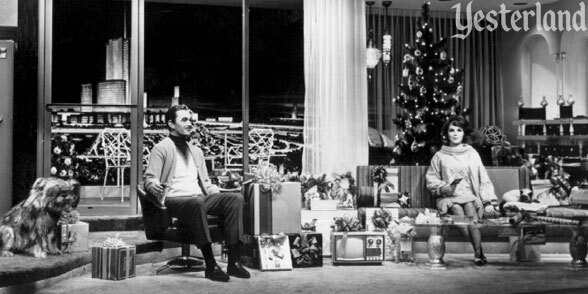 Hollywood-Maxwell’s Intimate Apparel Shop, home of the Wizard of Bras, only lasted from July 1955 to January 1956. This might still be the most unexpected shop in the history of Disneyland. In 1957, the emphasis at the young park was on openings, not on closings. The Maxwell House Coffee House on Town Square lasted from December 1955 to October 1957. It was really just a change of sponsor. Hills Bros. Coffee took over. In this photo, Walt Disney is the engineer of the short-lived Viewliner, which operated in Tomorrowland from June 1957 to December 1958. The more impressive Disneyland-Alweg Monorail System would take its place. 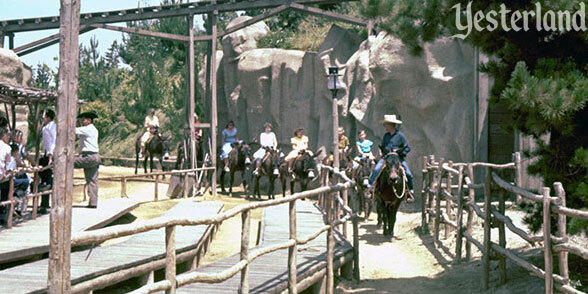 Rainbow Ridge Pack Mules, a animal-powered ride that lasted from June 1956 to April 1959, was one of three versions of a mule ride at Disneyland. The mules departed entirely in 1973. Photo by Roger J. Runck, 1960, courtesy of Robin Runck. 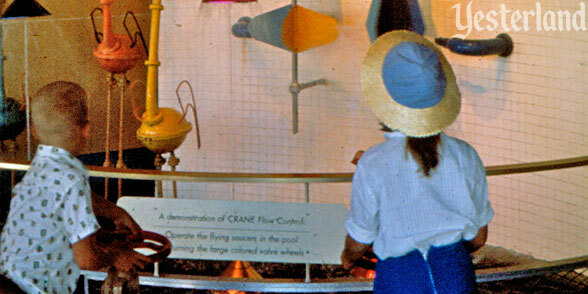 The Crane Company Bathroom of Tomorrow display in Tomorrowland lasted from April 1956 to August 1960. It was a display of plumbing, with valves that kids could play with. 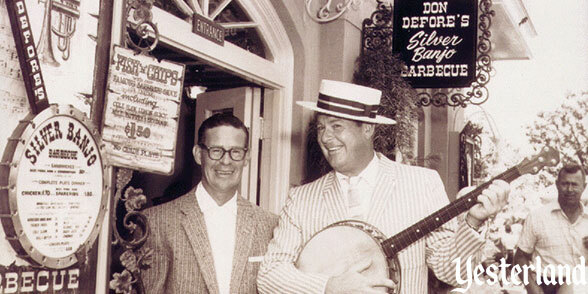 Don Defore’s Silver Banjo served delicious barbecue to Frontierland guests from June 1957 to September 1961. 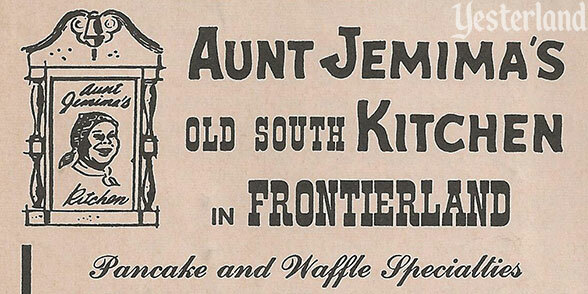 The tiny space became part of Aunt Jemima’s Kitchen after it closed. 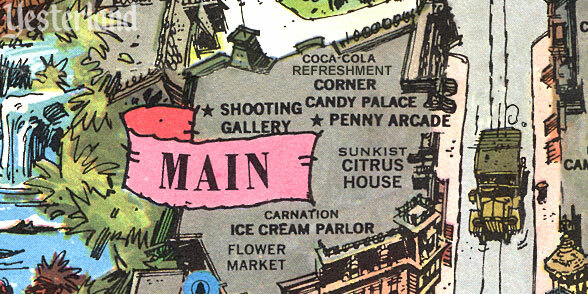 The Main Street Shooting Gallery operated from July 1955 to January 1962. 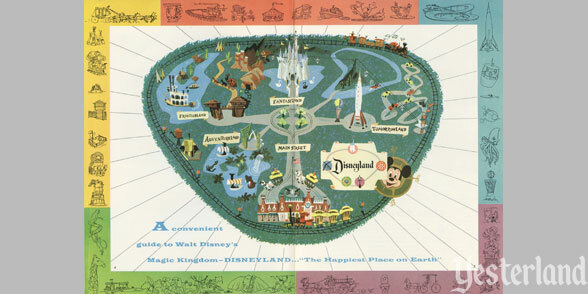 For some unknown reason, it was still on the 1964 Disneyland Souvenir Map, even though it had closed two years earlier. Yes, there was a time when you could empty a gun on Main Street, U.S.A. 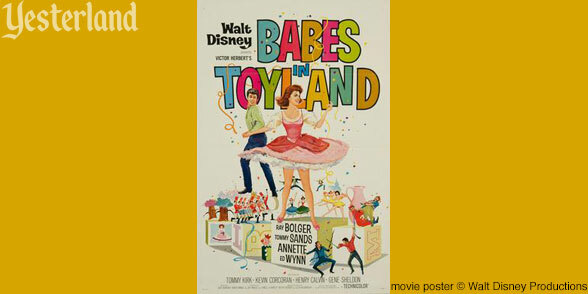 The Babes in Toyland Exhibit operated from December 1961 to September 1963. This display of props from Walt Disney’s 1961 movie Babes in Toyland was the first attraction at the Main Street Opera House. Before that, it had been used as a lumber mill. 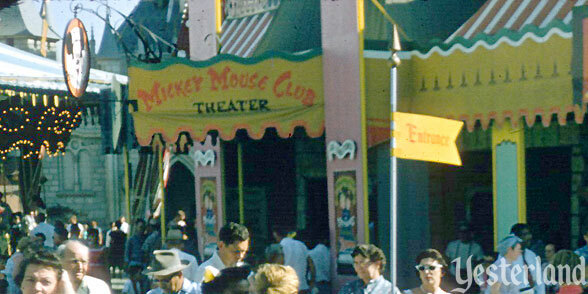 The Mickey Mouse Club Theater was a movie theater that opened in August 1955. Officially, it closed in 1964. 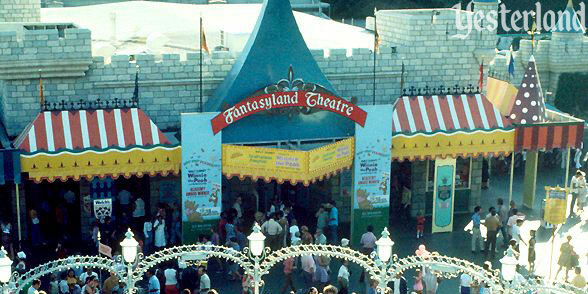 In reality, it just changed its name to the Fantasyland Theater, which continued to operate to December 1981. 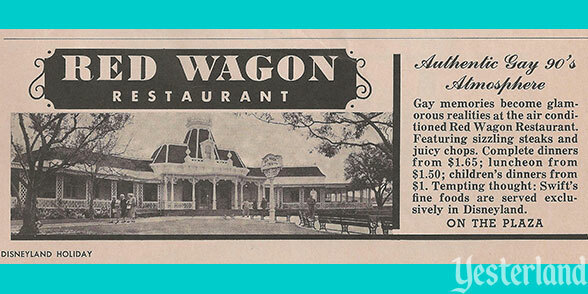 One of Disneyland’s opening day restaurants, the Red Wagon Inn (sponsored by Swift) became the Plaza Inn in 1965. Swift had a red wagon as its company logo. After Swift dropped its sponsorship of the restaurant, the name no longer made sense. 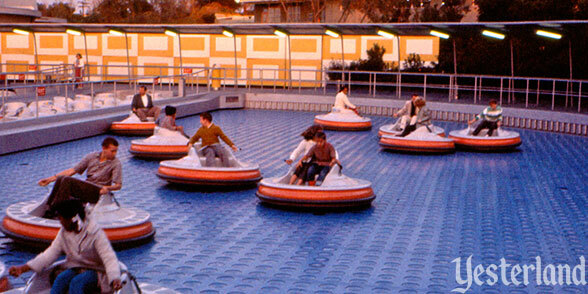 Flying Saucers was a Tomorrowland favorite from August 1961 to September 1966. The vehicles were smaller and more responsive (and more fun) than those of Luigi’s Flying Tires. 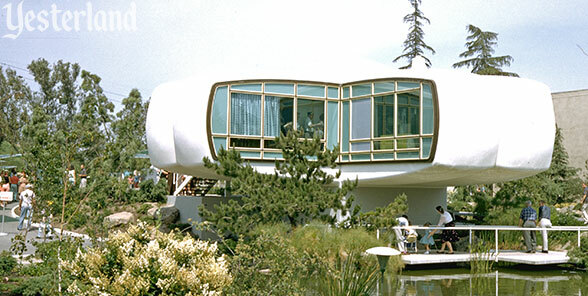 From June 1957 to December 1967, the Monsanto House of the Future gave guests a preview of living in an all-synthetic home. Now that it’s the 21st Century, how many of us live in such a house? 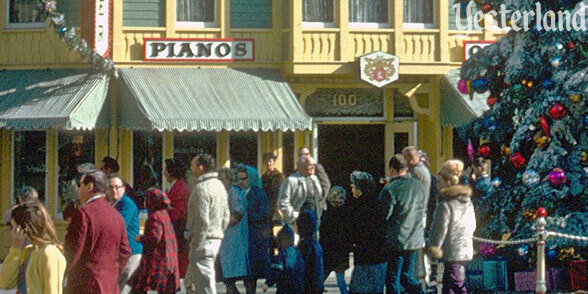 There was an organ and piano showroom on Main Street, U.S.A. from July 1955 to September 1968. The Wurlitzer Music Hall was on the corner across from the Emporium. You could attend a concert, learn about the product line, and even order a piano or organ for your home. Photo by Roger J. Runck, 1961, courtesy of Robin Runck. 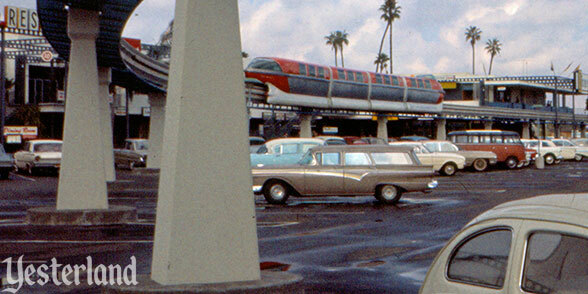 The original three-car Mark I Disneyland-Alweg Monorail System trains began service in June 1959. 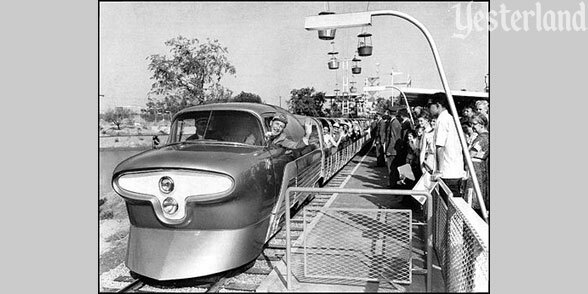 The trains were converted to four-car Mark II trains when the route was lengthened to serve the Disneyland Hotel in 1961. The original fleet was retired in 1969. A fleet of all-new five-car Mark III trains took its place. Aunt Jemima’s Kitchen, also called Aunt Jemima’s Pancake House, opened a few weeks after the park in 1955. You could meet Aunt Jemima—or at least a friendly Cast Member playing her. The eatery was replaced by Magnolia Tree Terrace in 1970. 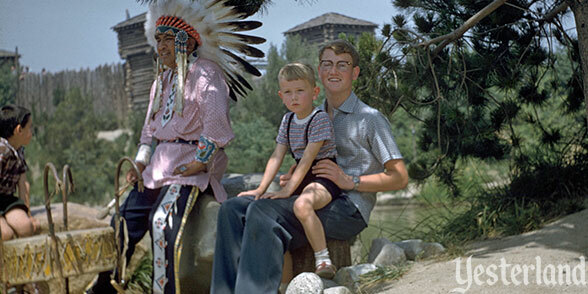 The Indian Village opened in 1955 near Adventureland. In 1956, it moved to a new location. It was best known for its Ceremonial Dance Circle. The Indian Village closed permanently in 1971 to make way for Bear Country (now Critter Country). 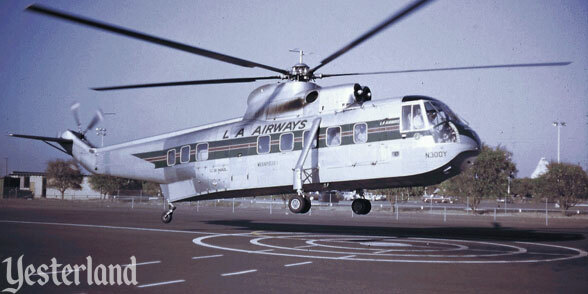 Scheduled helicopter service from LAX to the Disneyland Hotel heliport ended permanently in August 1972 when Golden West Airlines decided to stop operating helicopters after just five months of service. From 1955 to 1969, Los Angeles Airways had offered such flights, first to a helipad near Tomorrowland and then, beginning in 1963, to a helipad just north of the Disneyland Hotel. Two fatal crashes on the Disneyland route in 1968 killed a total of 44 people. PR photo from General Electric © Disney, courtesy of Dennis Caswell. The Disneyland run of the General Electric Carousel of Progress lasted from July 1967 to September 1973. It’s still going at Magic Kingdom Park, where it has had a much longer run—January 1975 to the present. But only Disneyland had Progress City as part of the show. 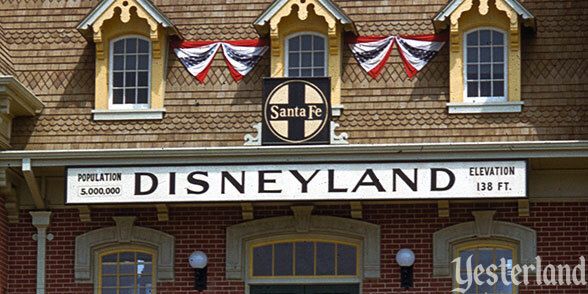 The railroad that has circled Disneyland from July 1955 through the present was originally called Santa Fe & Disneyland Railroad. Since October 1974, it’s been just Disneyland Railroad, without a sponsor. 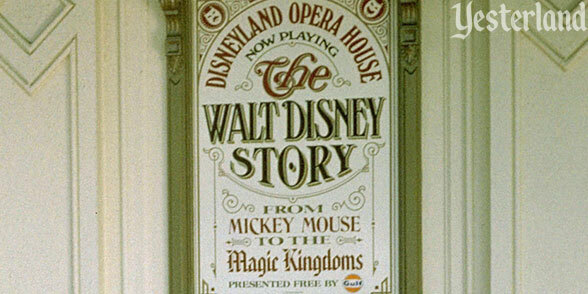 The Walt Disney Story at the Opera House featured displays in the lobby and a biographical movie (narrated through recordings by Walt Disney) in the auditorium. Abraham Lincoln was not part of the show. The Lincolnless version only lasted from April 1972 to February 1975. Disneyland honored the U.S. Bicentennial from June 1975 to September 1976 with America on Parade, a huge parade that included floats celebrating American history and American junk food. A slow train ride for the whole family, Mine Train Through Nature’s Wonderland, was a 1960 expansion of Rainbow Caverns Mine Train (1956). 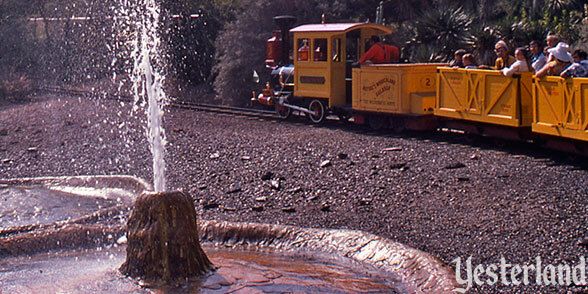 It closed in January 1977 to be replaced by a much faster train—Big Thunder Mountain Railroad. 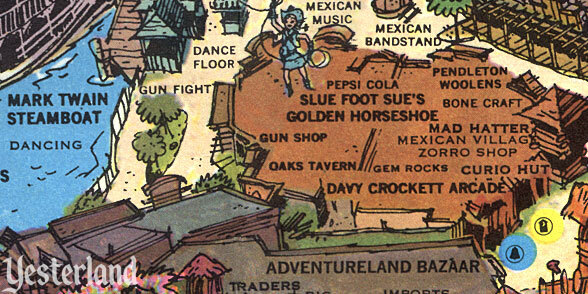 Oaks Tavern restaurant served hungry Disneyland guests from 1956 to 1978. The location is now the Stage Door Cafe. 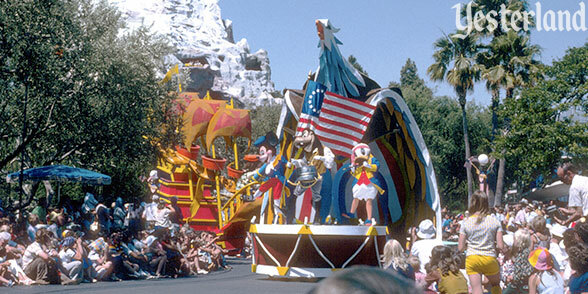 In 1970, GAF replaced Kodak as the Official Film of Disneyland. 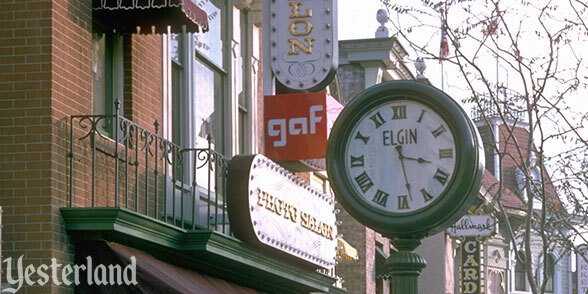 The GAF Photo Shop and GAF Camera Salon operated from December 1970 to March 1979. Then it would be Polaroid’s turn. 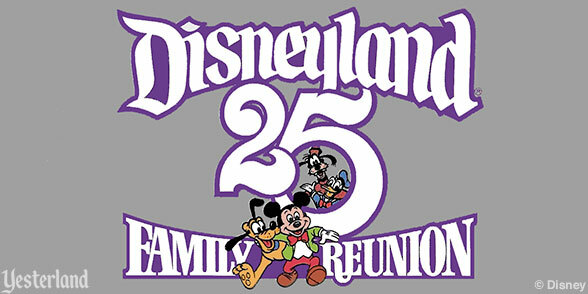 The Disneyland Family Reunion Parade, celebrating the 25th anniversary of the park opened and closed in 1980. This was before “event” parades would stick around for many years after the event was over. 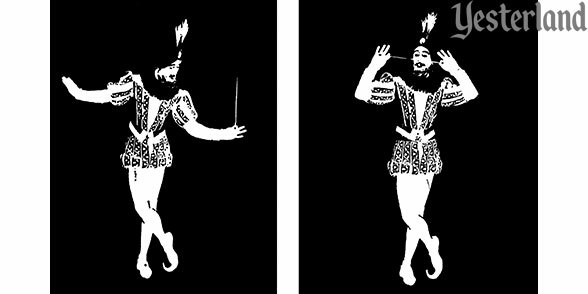 The original Fantasyland Theater—not to be confused with the Fantasyland Theatre now near Mickey’s Toontown—showed Disney cartoons from August 1955 to December 1981. It was called the Mickey Mouse Club Theater until 1964. The location became Pinocchio’s Daring Journey. Photo by Charles R. Lympany, courtesy of Chris Taylor. 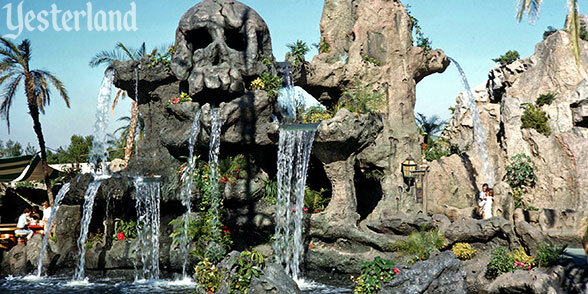 In 1960, Skull Rock was added adjacent to Captain Hook’s Pirate Ship in Fantasyland. Both were eliminated in 1982 for the New Fantasyland project. 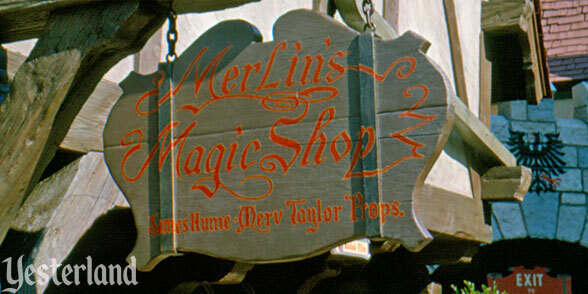 Merlin’s Magic Shop in Fantasyland lasted from July 1955 to January 1983. 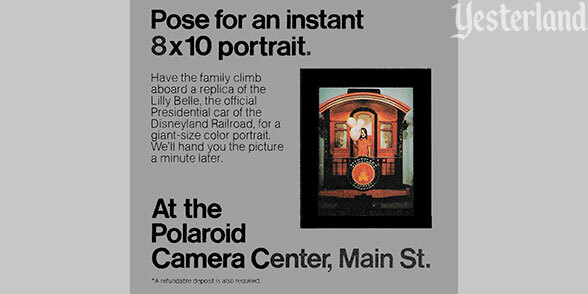 The Polaroid Camera Center opened in March 1979 and closed in April 1984. Film giant Kodak returned in May 1984. Both books are available from Amazon (paperback and Kindle), Barnes & Noble (paperback and Nook), and other major outlets. To order from Amazon, please use the links below. Yesterland is a participant in the Amazon Services LLC Associates Program, an affiliate advertising program designed to provide a means for sites to earn advertising fees by advertising and linking to Amazon.com.